Product reviews are a brilliant way to increase sales and build brand loyalty. By allowing your existing customers to review your products, they can easily inform other potential customers about the strengths and weaknesses of the products, allowing them to make better buying decisions. Bazaarvoice, previously known as Shopzilla, have helped millions of customers from around the world to review billions of purchases. IGOO have recently integrated Bazaarvoice express into Outdoor Megastore’s product pages, allowing full product reviews along with a star rating to appear inline and easily available. 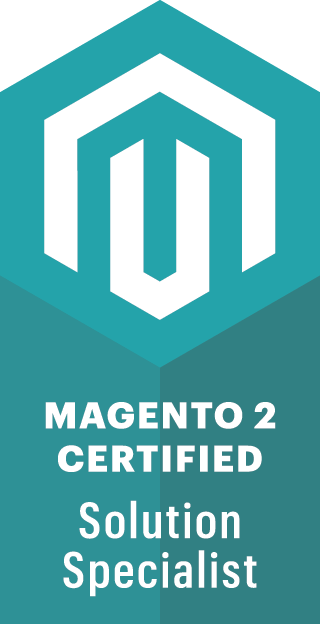 From a technical point of view, we hook into the Bazaarvoice XML product review feed and have custom coded the Magento product page to automatically fetch the date once it is provided. 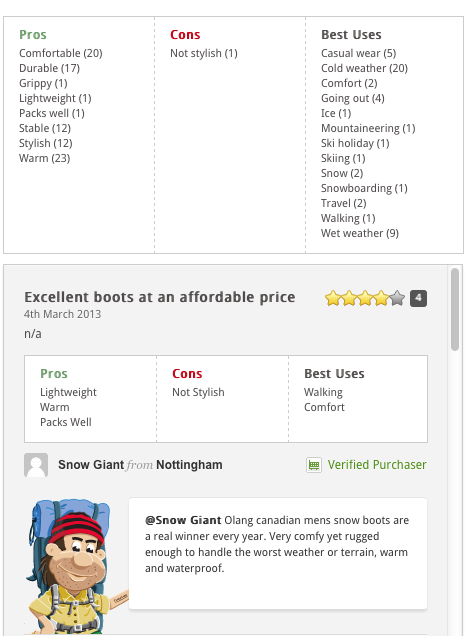 Featured in the review is a star rating system, both ‘pros’ and ‘cons’ of the item, along with when it’s best used- particularly helpful if you’re searching for a pair of reliable boots for a specific terrain or type of walk! This review service boasts huge SEO benefits, as all review content is directly onsite, rather then being displayed externally. Outdoor Megastore’s favourite mascot, Stan, is also able to communicate directly with the reviewer and judging by his great sense of humour and witty remarks, this is going down very well with customers! If you would like to talk to us about Bazaarvoice express XML integration with Magento, or any other Magento development service, please contact Gavin here or call us on 0151 292 7799 for more info.